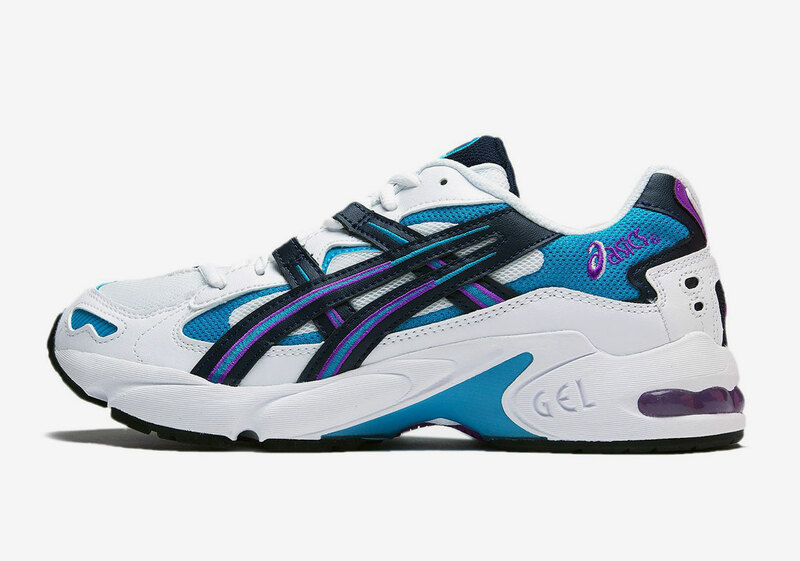 Asics’ starring silhouette of 2018, the Gel Kayano 5 OG, was met with praise as its timely arrival was synced with the ever-changing trends of sneaker culture. As bulky high-end slowly phased out, models with vintage appeal began to trickle in, taking on intricate toolings reminiscent of long-forgotten eras. While the first colorway — one of more original standings — received constant praise for its disruption of the Japanese label’s current direction, new palette swaps took it into a realm more modern. 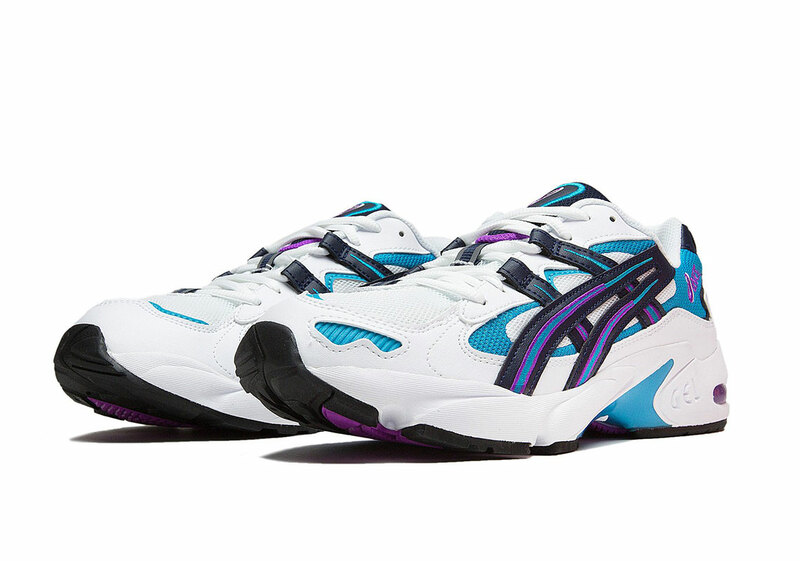 Minimal schemes, monochrome arrangements, and bold takes all reinvented the Kayano wheel, with this forthcoming set piece doing much of the same. 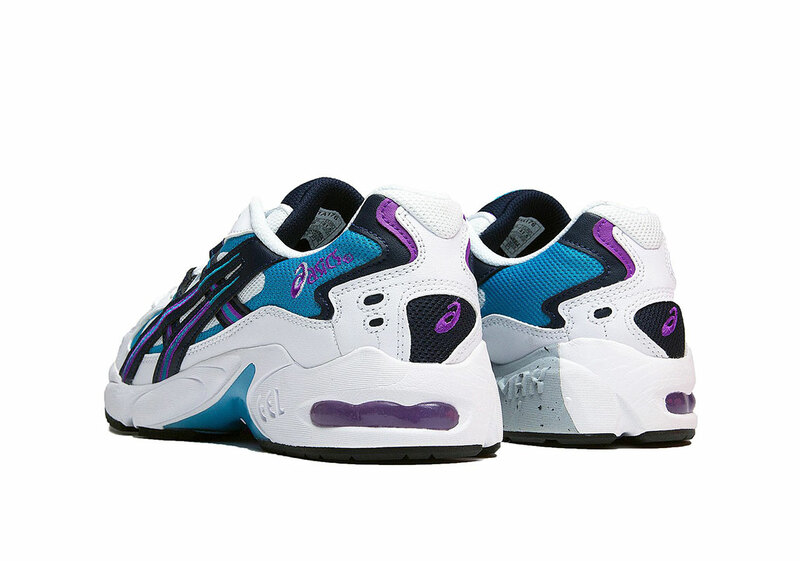 Inspired by the neon lights of Miami’s hallowed South Beach locale, the shoe comes adorned with vibrant accents of blue and purple lining the entire body. A white base creates a canvas fitting of such an inspired kit, with the use of contrasting pieces exhibiting some fine nostalgia. At a price point of $120 USD, expect to find this pair available now at the retailers listed below.